Healthcare Licensing Services, Inc. specializes in helping physicians apply for medical licensure in the state of Virginia. We will research your entire professional history from Undergraduate School to date to obtain information such as mailing addresses and contact information for the purpose of verifying your credentials to the Virginia Medical Board. We are also able to research Medical License numbers, issue dates, and expiration dates. We will assure you professional completion of your Virginia medical license application, as well as professional completion of all letters and forms necessary to request verification of your credentials for the Virginia medical board. Your Virginia Medical License application will be assigned to one file manager in our office who will be your point of contact. You will have continuous access to your file manager during the entire application process. An update on your file will always only be a simple phone call or email away. 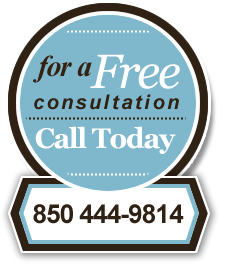 Click here to contact us and learn more about our Virginia medical license service. The beautiful state of Virginia, a Southern state on the East coast, just below Washington, DC, has a long and illustrious history with a big future ahead of it. The state has a varied and healthy economy, with agriculture, federal and military operations, and Fortune 500 companies all operating busily across the state. The climate is generally mild, making it appealing to many people who don’t want to live in the cold North but also want to see four seasons every year. America’s first ‘living museum’, Colonial Williamsburg, is in Virginia, and is one of the most popular tourist destinations on earth.